Good news to American poker players came a couple days ago when the Department of Justice made a deal with Full Tilt and PokerStars, providing them access to their seized domain names. This would be done so that Americans could have the chance to withdraw their funds. Americans have been waiting for some news about the money in their accounts for days, so April 20’s news came as a huge relief. A press release from the US Attorney’s Office states that its action of freezing the accounts of these poker sites should not have prevented them from returning US funds. It might take some time for withdrawals to get underway and hit accounts, so both sites are asking their players to remain patient. Some people are concerned that the Cereus sites were not mentioned in the agreement. This could lead some people to believe that Cereus is not interested in returning funds to its players. If you have money in Absolute Poker or UltimateBet, though, don’t panic quite yet. The Department of Justice is ready to make a deal with Cereus if they wish to do so. In other Black Friday news, the PokerStars Big Game and Million Dollar Challenge have been removed from the Fox network’s programming schedule. Both shows were doing a great job of marketing and promoting PokerStars.com, so this is a major setback for the company. The PokerStars Big Game ran twelve weeks of shows in its first season, and the filming and editing of Season 2 was only a couple months away from being finished. The show will almost certainly not air in the US, and no official word has been given about whether or not it will air in other regions. Since so much time and money have already been sunk into producing the second season, it is almost guaranteed that the shows will at least be released online. ESPN has removed all PokerStars sponsored programs from its network. For example, coverage from the PokerStars North American Poker Tour was scheduled to be shown this past Monday on ESPN2, but it was replaced by a college sports all-star challenge. ESPN still plans to cover the World Series of Poker, however. U.S. players with money stuck on PokerStars need worry no longer. Facilities to withdraw from your online poker account have been officially reinstated. Following an indictment by the Department of Justice, PokerStars had prevented U.S. players from competing in real money games. However, millions of dollars were left stranded on the site. When the FBI took action to seize the company’s bank accounts, withdrawals were immediately suspended for American players. Even European players had trouble removing their cash from the client. Following mass panic and anger from many citizens, the DoJ announced last week that they were arranging a deal to allow the cashier to reopen. A statement was released in which the government outlined plans to release the FullTiltPoker.com and PokerStars.com domain names they had previously snatched. The key function of this action, they said, was to help facilitate easy U.S. withdrawals. The ‘Cash Out’ button mysteriously disappeared from the PokerStars clieng last Friday. It has now reappeared, along with a host of guidelines concerning how and how fast U.S. players can expect to get their money. The online poker site are currently estimating up to 72 hours for processing and no more than 5 business days before the money reaches your bank account. The amount you can withdraw at once is limited by the method you choose. The lowest limit is for checks, which can only be approved up to a maximum of $2,500. The figures for bank transfers give you a lot more leeway, with up to $50k for a single withdrawal. Wire transfers are for high-rollers only, requiring that you select a minimum of $50,000 for each withdrawal. PokerStars have also noted that if you wish to make a bank transfer, you’ll need a routing number and bank account number for a checking or savings account. Full Tilt were also named in the DoJ statement released last week, but as yet have not announced any plans to OK U.S. withdrawals. It was noticeable last week in the responses released by Full Tilt and PokerStars that the the “Home of the Pros” was a lot more defensive. They also expressed concerns about running into legal trouble if they were to begin processing U.S. withdrawals again. Players with sizeable Full Tilt bankrolls will be waiting anxiously for more news. Similarly, UB and Absolute – the two sites that occupy the CEREUS network – have brought forward no new information regarding cash outs. In a statement released shortly after the indictment, the company claimed that allowing U.S. players to withdraw was a primary concern, but since then no new information has been forthcoming. UPDATE: PokerStars is once again thriving, but still not accepting any players from the USA. 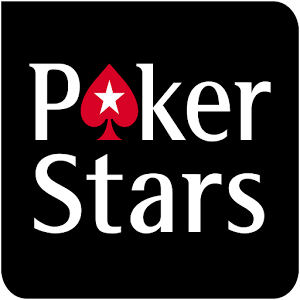 Read our review of PokerStars here.